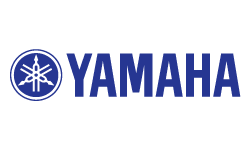 As the largest acoustic piano manufacturer in the world, Yamaha was able to hand select from a vast collection of hand-crafted grand pianos to create the sounds heard in the CP40 STAGE. Loaded with premium collection of sounds, including 15 CFIII grand piano voices, the Yamaha CP40 is an 88-note Graded Hammer action piano that is ready for any musical situation. An easy-to-use interface with large lighted buttons for splits and layers gives you all the controls you need right at your fingertips. Available until 11 PM (EST) today. Mention special code 209-X9V9 when you call.